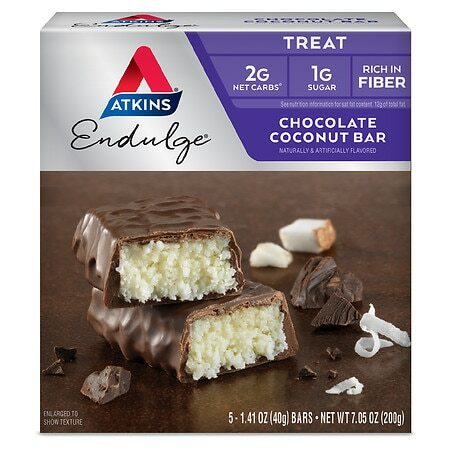 Atkins Endulge Nutrition Bars Chocolate Coconut - 1.4 oz. 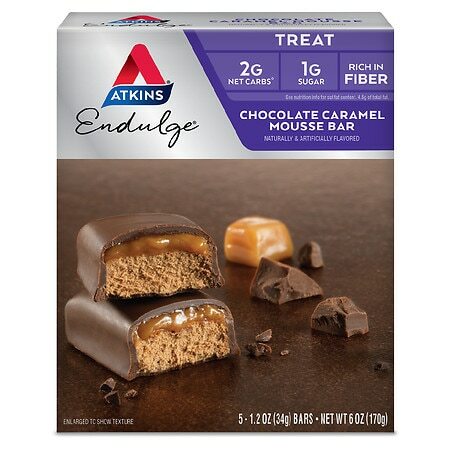 Atkins Endulge Treats Chocolate Caramel Mousse - 1.2 oz. 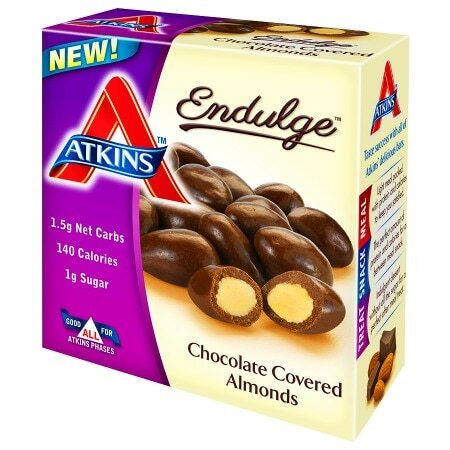 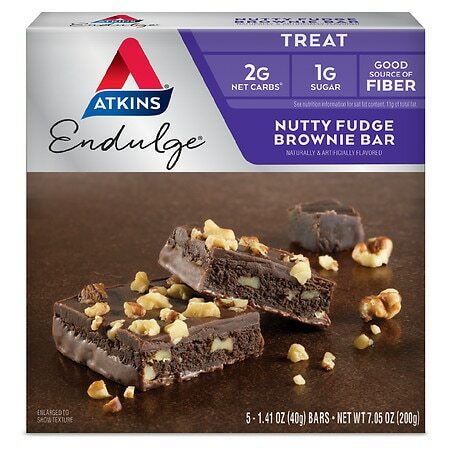 Atkins Endulge Treats Nutty Fudge - 1.4 oz.